The Aqueous Pendant Light by Heathfield & Co is available in two striking colourways - Fossil and Mousseaux. 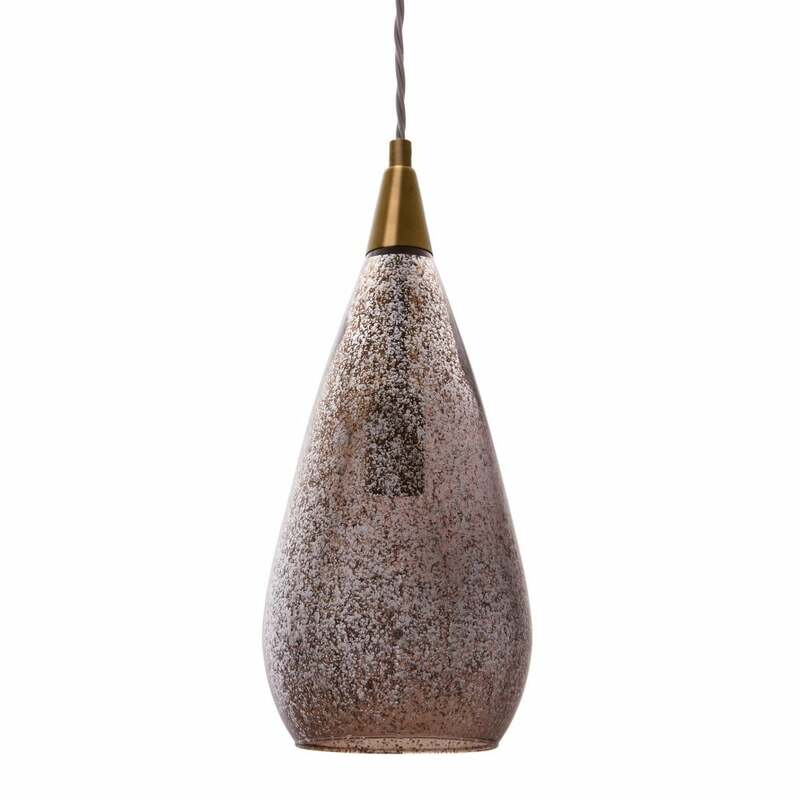 Inspired by natural elements, the elegant tear drop shape is complemented by antique brass metal work and a hand-finished glaze. Part of the Zoffany collection, this pendant light can be installed on its own or in a group above a dining table or kitchen island. The cord can be adjusted and customised to your requirements to achieve the desired look. Make an enquiry for more information.